Like brand new house.This beautifull custom built original owner home offers an open floor plan with 2007 SF ander A/C. Soaring 11' ceilings in the main living area and 10' ceilings throughout all other areas. All doors 8'high. House features extensive crown molding throught the house. 18"x18" Porcelain title with cork under on the diagonal in living room dinning room kitchen. Large kitchen with granite counter top and custom 42" cabinets. Breakfast nook as well as seating area around kitchen bar. 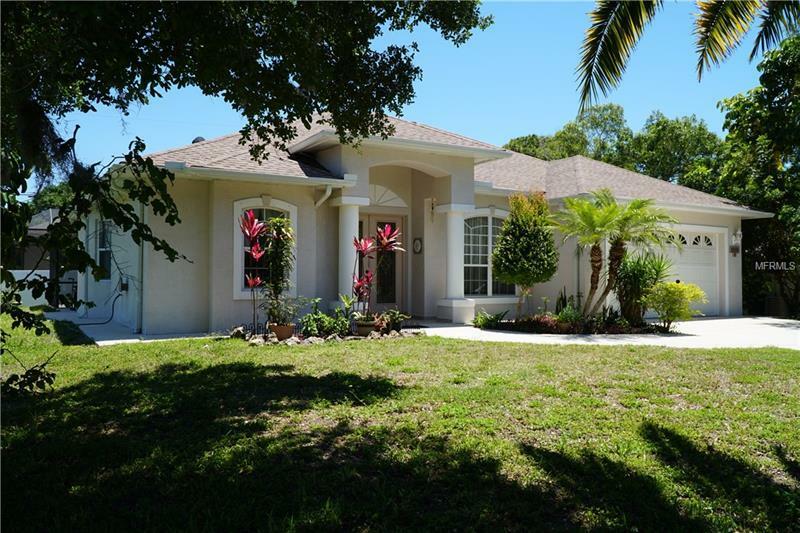 Enter the large lanai through 8'high sliders in the living room master bedroom and nook.Two walk in closets in master bedroom.Garden tub in master bsthroom. Central vacuum system installed. Raddiant barrier on attic makes house cooler. All interrior walls have sound barrier insulation. Double 8' entry door. Gatters installed aroumnd the roof perimeter. Walk way around the perimeter of the home. Back and left side of property fenced. CITY WATER and SEWER connected in 2018. No HOA fee. This beach is 15 miles away and the quaint shops restaurants beaches fishing boating and other recreationals are just minutes away.